He may be recalled following disciplinary proceedings. The Ukrainian Foreign Ministry has suspended consul to Hamburg Vasyl Marushynets over his controversial online remarks, its spokesperson Maryana Betsa has told Ukrainian News. "Once we learnt that our consul in Hamburg may have made anti-Semitic statements, Foreign Minister Pavlo Klimkin instructed the state secretary to launch disciplinary proceedings. They were launched immediately and are underway. The consul has been suspended," she said. She added that based on the results of these proceedings, he may be recalled. "We do not rule out that he may be urgently recalled from Hamburg to Ukraine. This is absolutely unacceptable in diplomatic service. We will certainly have a thorough check and draw lessons for the future," she said. According to Betsa, the Foreign Ministry condemns any forms of xenophobia, discrimination and anti-Semitism. 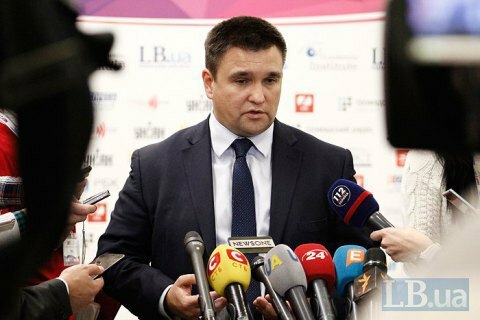 Earlier, Klimkin said on Twitter: "There is no place either in the civilized world or in the Foreign Ministry for anti-Semites and those who fuel interethnic enmity." It was controversial blogger Anatoliy Shariy who first alleged that Marushynets was making anti-Semitic statements on Facebook. However, Marushynets's posts were only visible to his friends.